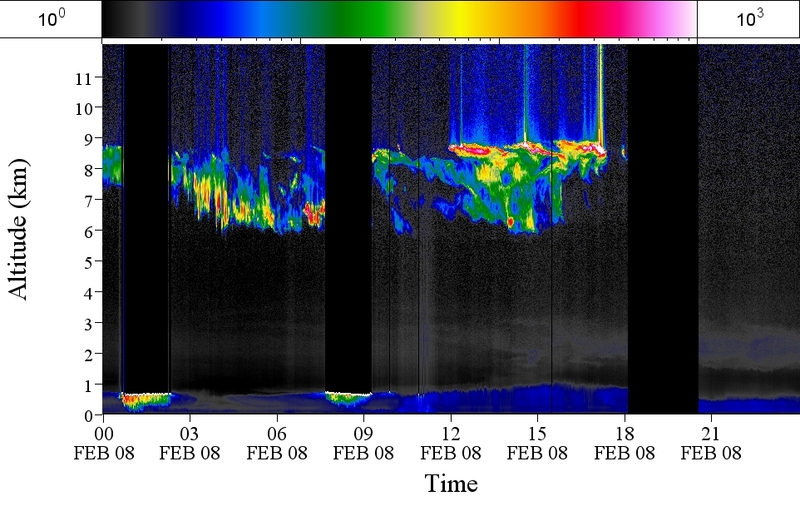 The GPM Ground Validation Aerosol and Water Vapor Lidar Quicklooks GCPEx dataset contains imagery generated from the GPM Cold-season Precipitation Experiment (GCPEx) campaign during January - March 2012 in Canada. GCPEx addressed shortcomings in GPM snowfall retrieval algorithm by collecting microphysical properties, associated remote sensing observations, and coordinated model simulations of precipitating snow. The system is configured to run semi-autonomously and shuts down automatically for the duration of rain events. This dataset is comprised of measurements from two Lidar systems: the Semi Autonomous Tropospheric Aerosol Lidar and the Tropospheric Water Vapor Lidar. Archived by National Aeronautics and Space Administration, U.S. Government, NASA/MSFC/GHRC. https://doi.org/10.5067/GPMGV/GCPEX/LIDAR/DATA101. Strawbridge, Kevin B and David Hudak.2015. GPM GROUND VALIDATION AEROSOL AND WATER VAPOR LIDAR QUICKLOOKS GCPEX indicate subset used. Dataset available online from the NASA Global Hydrology Resource Center DAAC, Huntsville, Alabama, U.S.A. DOI: http://dx.doi.org/10.5067/GPMGV/GCPEX/LIDAR/DATA101.